On June 17th, 1932 the Postal Administration issued a new design of "airmail stamps" with the same surcharges as the first issue. 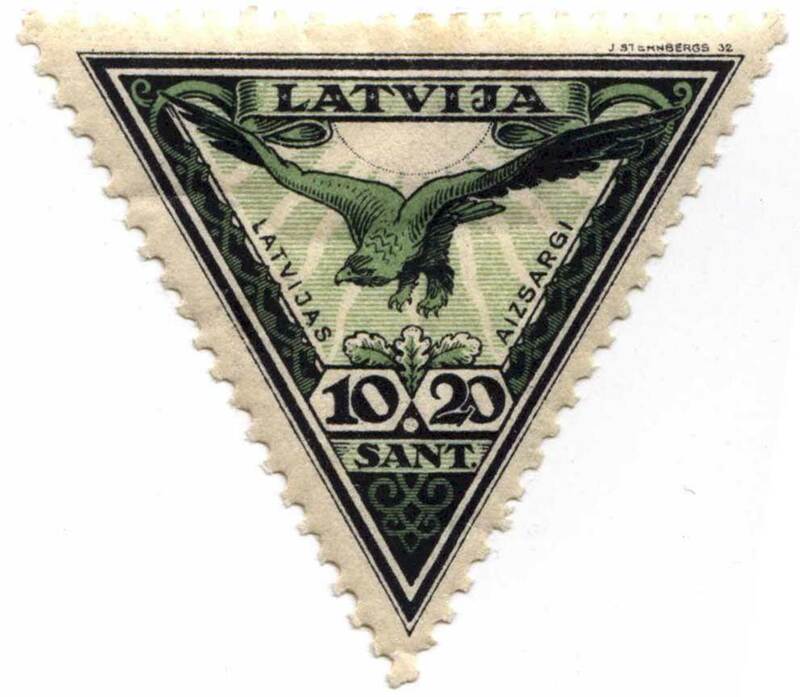 According to archive records the printing office had delivered to the Riga Main Post Office 12,500 perforated and 7,500 imperforated sets, each consisting of the three denominations. On December 5th, 1933 the printing office informed the Riga Main Post Office that it still had of each version 500 stamps of each variety and denomination in stock. No information could be located in the archives what finally happened to the remaining of approximately 600 sheets 1 1/2 to 2 years after their issue, still in stock at printing office. Between the last issue of the Home Guard stamps, and the printing office reports in December 1933 four Aviators special sets were issued, also with extreme surcharges in which collectors and speculators could invest their money. It may therefore be assumed that by December 1933 the interest of customers in Home Guards stamps was exhausted and that the remainders mentioned above were destroyed.